Codex Grey Knights is coming, look busy! Make a bit more space on your book shelves people. 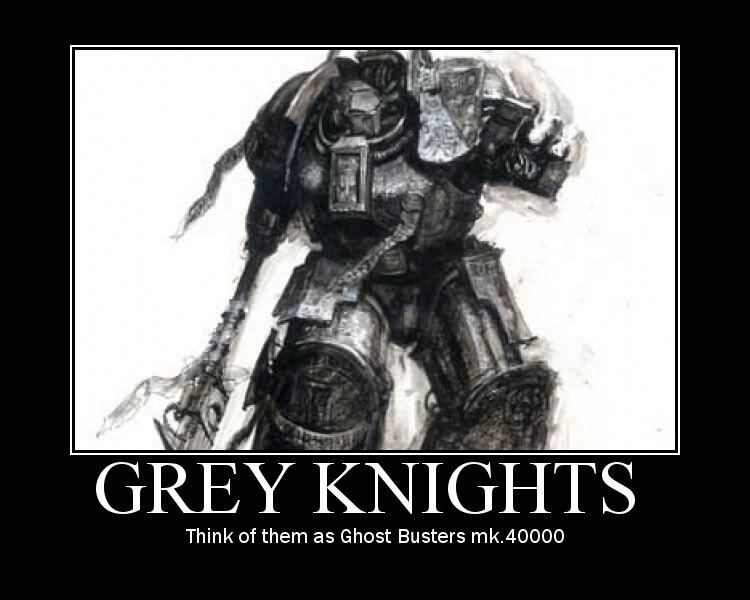 Grey Knights then. Well, I can’t say I saw that coming so soon but then apparently no-one saw that coming at all so at least I’m not alone in my surprise. It’s yet another sign of GW’s serious push to go bigger and better in everything, but I think the community might be suffering from a little release fatigue right now. I know I am. 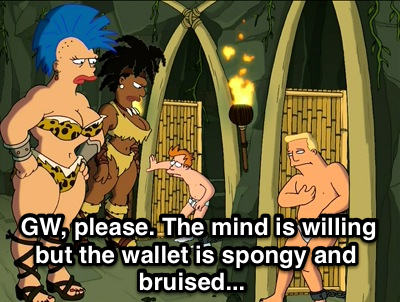 I am a little annoyed about the impending relaunch of Titan’s finest daemon hunters, but only because my perpetually stretched finances (well, they’re not that bad by normal standards, but with a minor plastic crack addiction, they’re never healthy enough). 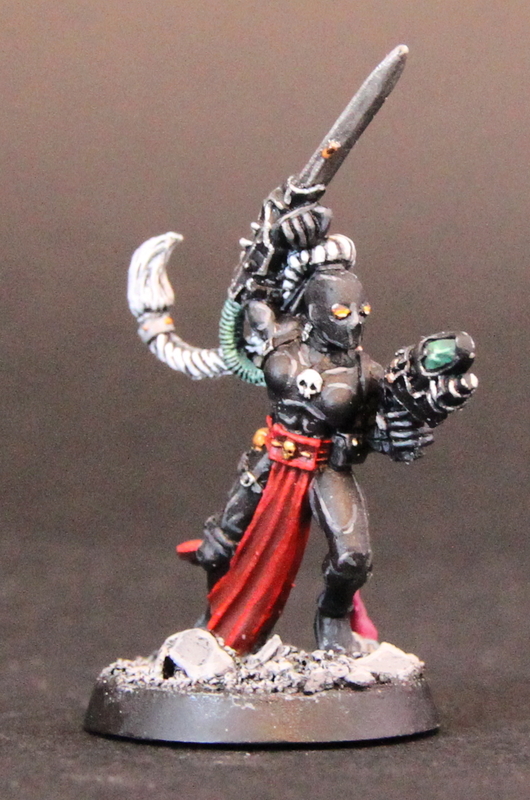 Another new Codex to buy. Actually no, I also need to buy a data slate now for my assassins and that annoys me a touch too. However, I get why they did that. The soon-to-be-obsolete book wasn’t really a Grey Knights Codex. It was Daemon Hunters with a different name. The Officio Assassinorum and Inquisitors deserve their own texts, though I’m intrigued to see if this makes the Grey Knights book a little light. I’m digressing though. The GK release does make sense in another way, in that it pushes on the Sanctus Reach storyline, and I like that. It’s a good example of Games Workshop being able to do this more quickly, and push/develop narrative rather than get caught in an unending cycle of predictable rereleases, and, as mentioned, I like that. Now, onto the hopes and dreams and fears for the book. As already stated, Inquisitors and Assassins being out (if those rumours turn out to be true), I get. From a fluff perspective, I get it. Grey Knights aren’t short of good units, and they’re not missing anything (thanks to allies and detachments and what have you), though it’ll be curious to see if they get access to the Space Marine anti-aircraft tanks (Stalker with psybolt ammo? Yes, please). From what we’ve seen, there aren’t going to be any new kits in wave one at least, merely a repackaging of existing units. I’m a little disappointed that there isn’t something big and shiny coming straight off the bat, but I totally get the repacking. 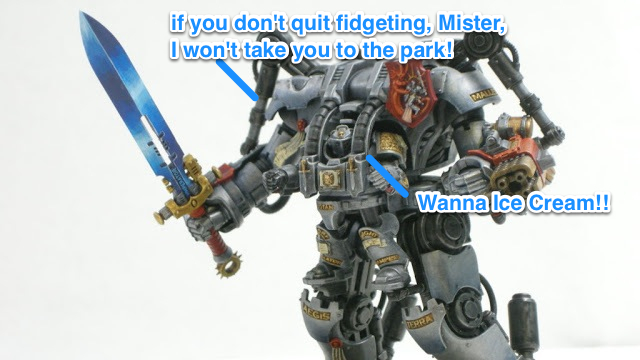 GW wants people to have more options than just the three or four basic kits they have on the shelves, plus a load of Space Marine stuff. It will make them look like a proper army in that sense. Besides, these days, I wouldn’t put it past the chaps in Nottingham to pull something crazy out of the bag. What I’d like to see change? Not a great deal. It’s a solid book which, though once upon a time seriously over-powered has weathered the power creep of newer armies and edition changes well enough with out nose-diving down the rankings. 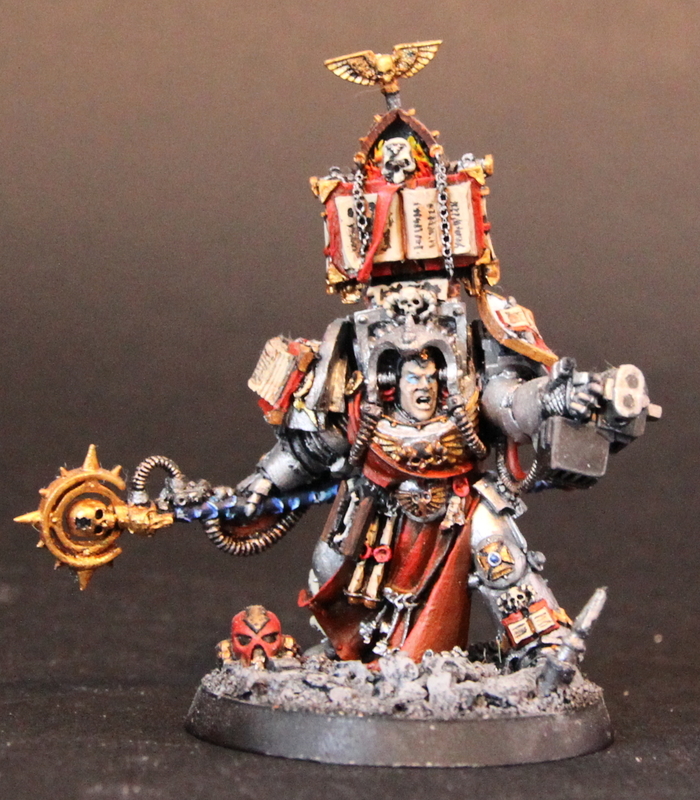 As a fan of his fluff and his look, I’d like to see Castellan Crowe get a bit better (stop hitting yourself, stop hitting yourself) especially by making him an Independent Character, but really, I’d just like to see everything brought into 7th with clearer rules etc. 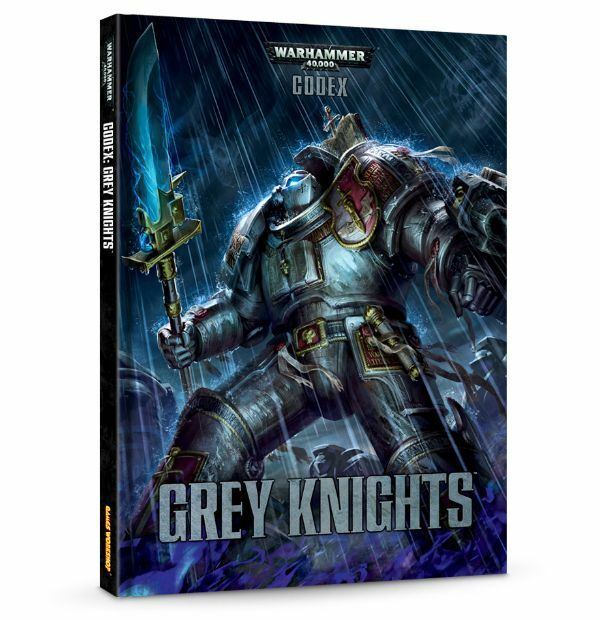 Maybe also some Knights, but as these might end up being called Grey Knights Titan Knight Titans, I’d totally get it if they didn’t – it would be rather silly. Some nice formations would be a winner of course, and that’s kind of a given, and maybe a new clam pack Brotherhood Champion would be awesome too. Some nice, unexpected treat would be excellent but I won’t hold my breath just yet. Something tells me that Nagash has eaten most of the plastic reserves for his undead armies.